Exceptional 2 story in Westonka school district. 3 Bedrooms on same level, with Full owner's suite, bonus room, walk in closet, Owner's bath. 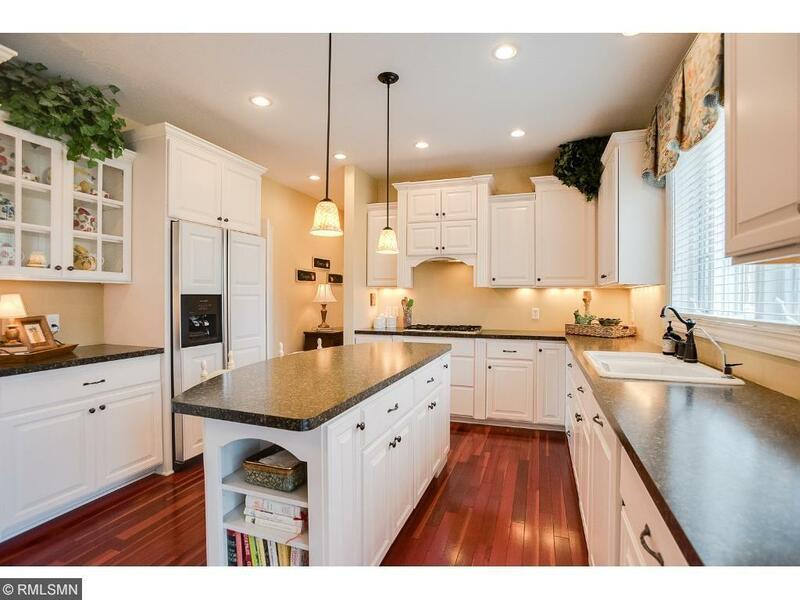 Center island kitchen with granite, white cabinets w/pullouts, cherry hardwood floors. Additional sun room, living room with 9 foot ceilings. Surround sound, sprinkler system.